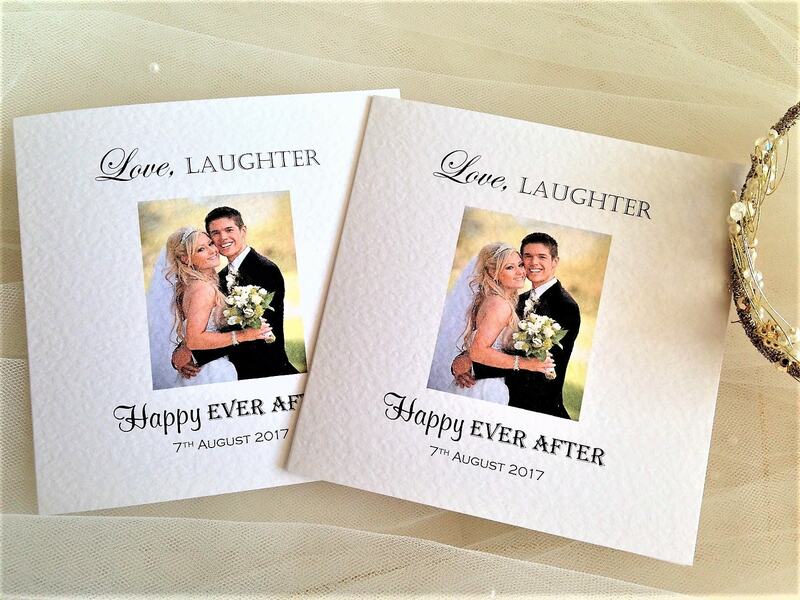 Square Centre Fold Photo Thank You Cards enable you to send your guests a favourite photograph from your special day. 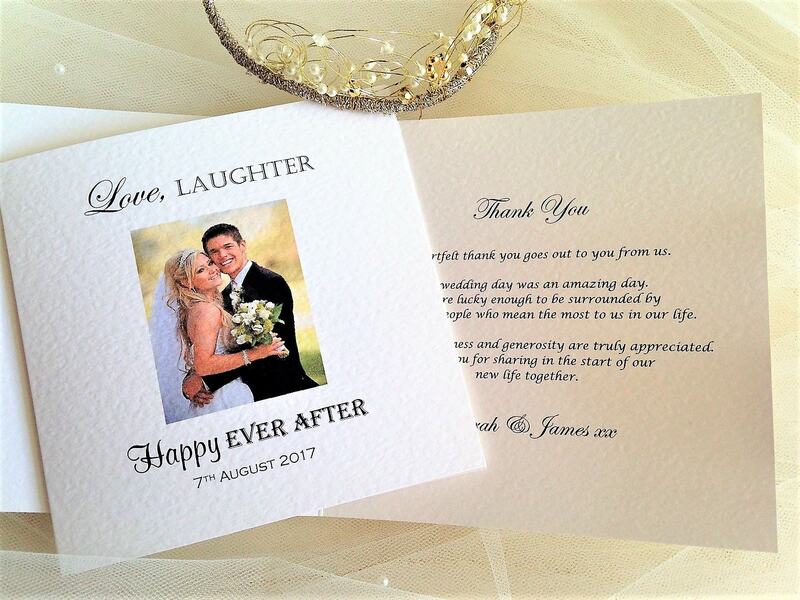 The thank you cards are printed on either white or ivory hammered card (270gsm) and are supplied with a matching hammered envelope. Message inside printed in a typeface of your choice. 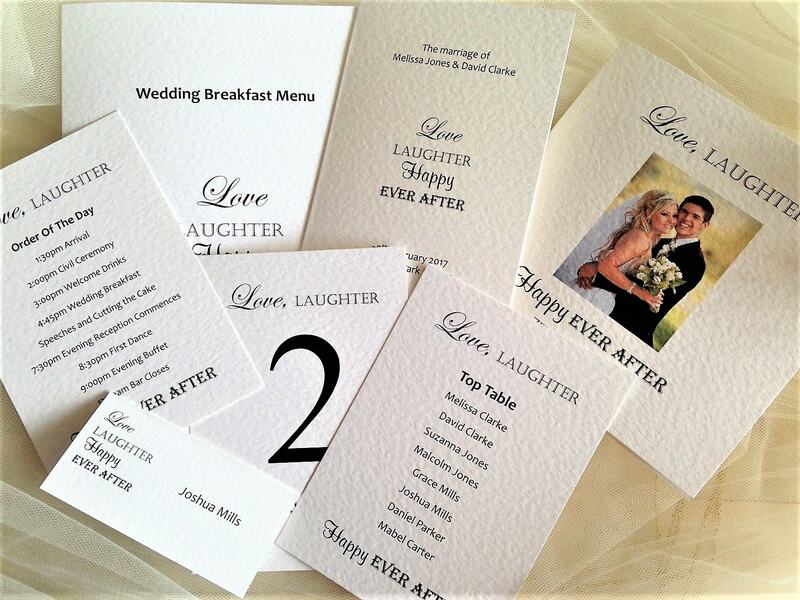 We can print you guest names if required inside free of charge if you wish. Cards are supplied printed with your own poem/message or left blank for you to handwrite your own thank you message inside. Just email through your message and send a high resolution photograph in jpeg or png format. Minimum order quantity is 15. We have short lead times, our printing is done in house. 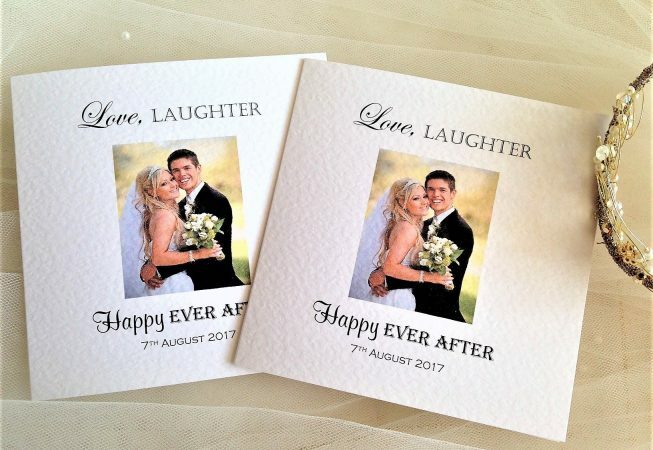 Thank You cards can be ordered and supplied within a short timescale, usually 3-4 days for quick delivery in the UK. Placing your order couldn’t be easier. Order via the on line shopping cart system or direct by email and an invoice will be sent to you by email for immediate payment. Once payment has been made layouts of all items ordered will be emailed to you for approval prior to printing. Please check them carefully. Any questions? Drop us an email or give us a call. We are here to help and are available 7 days a week until 9pm.